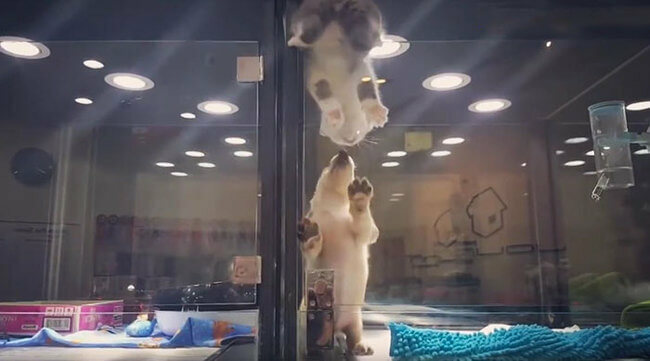 A plastic barrier at JoLinn Pet house, a pet store in Taiwan, couldn’t keep this adorable squeaky kitten and lovable puppy apart. 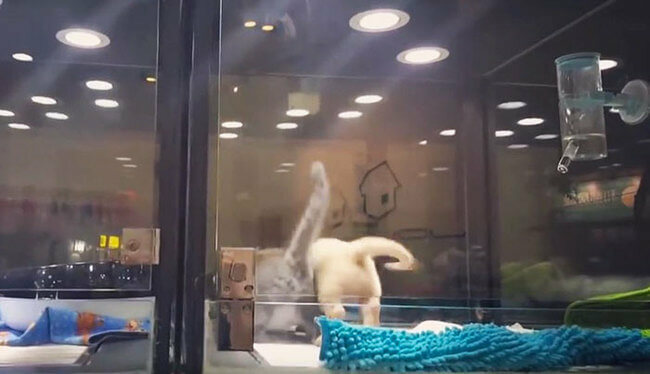 A rebellious kitten just couldn’t take the loneliness anymore and decided to escape it’s booth to play with the neighboring pup. In just under a minute this determined little fluff-ball made the transfer from one glass to another in the most adorably clumsy way possible. The pup was so full of excitement to see the kitten making the brave leap and decided to stand on it’s own to paws to help the kitten in. One short minute later, the escape was a success! 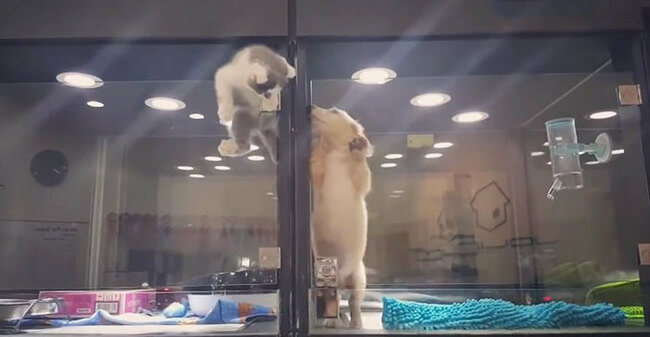 Although this incident is as cute as can be, we must not forget the desperation and isolation these baby animals endure while spending their lives in pet stores. Thank goodness these two found each other. Please remind yourselves and others; adopt, don’t shop!